Should you take the time to contact us, we will take the time to review your information and circumstances and get back to you promptly. If needed, we will meet with you face to face for a free initial consultation to review your legal options and suggest next steps. Howard Yegendorf & Associates’ team of experienced personal injury lawyers has helped hundreds of people receive compensation from insurance companies, employers and other parties. Collectively, our lawyers have close to 50 years of experience in representing those whose lives have been shattered by catastrophic injuries and death as a result of car accidents, motorcycle accidents, pedestrian accidents, and serious home, work and public incidents. Our law firm has made a conscious decision to focus on the most serious and catastrophic of personal injury cases, those involving brain injuries, spinal cord injuries and wrongful death. We believe that these kind of devastating, life-altering accidents are the ones that deserve the kind of seasoned, knowledgeable and forceful legal representation that the law team at Howard Yegendorf & Associates provides. Taking on an insurance company, employer or other people in a civil action can be challenging under normal circumstances. For a person or family who has suffered a catastrophic injury or death, it is often overwhelming and intimidating. At Howard Yegendorf & Associates, we will always bring the full force of our vast knowledge of the law and insurance to the table to ensure the rights of our clients are protected with vigorous and expert representation. Simply put, we will not allow our clients to be bullied. At Howard Yegendorf & Associates, we fully understand that complex legal and insurance issues are just a part of what a catastrophically injured person is dealing with. Our clients have had their lives forever altered and must deal with a new normal that can include extensive medical rehabilitation needs, lifelong care requirements, mental health issues and oppressive financial pressures resulting from the loss of income. We believe one of the greatest benefits we provide our clients is sheltering them from the stress of dealing with insurance and legal issues so that they can focus on other areas of their lives. Time and again we have heard from our clients that they were made to feel a part of the team, were listened to and were informed every step of the way. 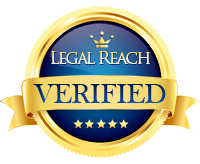 Our team of lawyers believes in delivering personal service in the area of personal injury law. We will always answer your questions honestly, answer your calls promptly and ensure that you are fully informed. Our law firm partners, Howard Yegendorf and Najma Rashid, along with the rest of our personal injury lawyers are passionate about protecting the rights of individuals. Standing up for the best interests of people is one of the core reasons why we got into the practise of law in the first place. Should we have the privilege of representing you, we will ensure that you are treated fairly, respected by other parties and compensated accordingly.